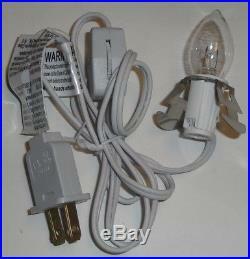 Vintage 16'' Ceramic Christmas Tree & Light. 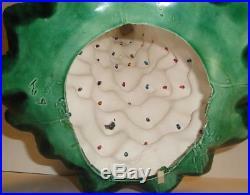 Diameter of bottom hole: 5.5''-6'' Year: 1970s circa Made: Holland or Atlantic Mold (not sure which). 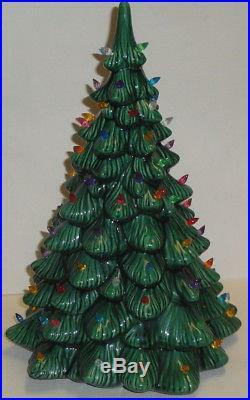 This lovely ceramic tree is in good condition. 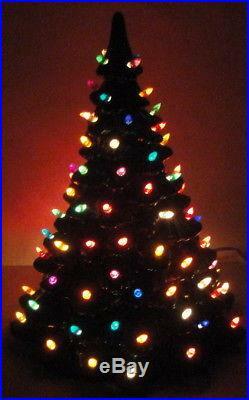 This christmas tree does not have a base, it is just the tree and light. Looks very nice, no bulbs are missing. Check out my other vintage Christmas items! Please feel free to contact me with any requests or questions! 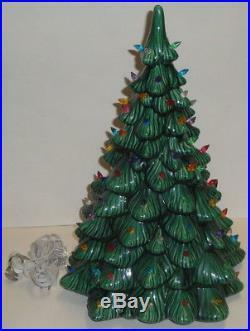 The item "VINTAGE CERAMIC CHRISTMAS TREE with LIGHT 16'' Holland or Atlantic Mold Green" is in sale since Saturday, March 16, 2019. This item is in the category "Collectibles\Holiday & Seasonal\Christmas\ Modern (1946-90)\Artificial Trees". 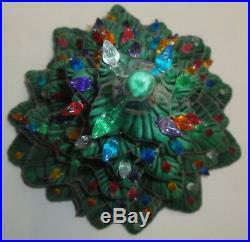 The seller is "holidaytrees" and is located in Denver, Colorado. This item can be shipped worldwide.